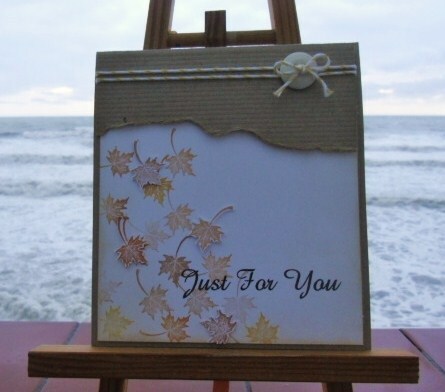 Fabulous card Sylvie love the torn Kraft card and the gorgeous falling leaves. Lovely to see you here with us at MMM hope to see you again. This is beautiful Sylvie. Love the clean and simple look and the stamped leaves are lovely. Thanks for joining in this week at MMM and lovely to have you with us.